That old adage about "there's no such thing as a free lunch" applies to yet another airport operation: namely, that the salad days of getting TSA PreCheck without paying are over. Soon enough, nobody will be randomly selected to breeze through airport security without taking off a jacket or untying a shoe lace. And that goes for frequent flyers whose airlines give them PreCheck at airport, too. 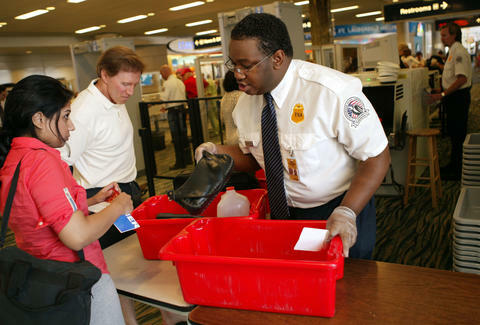 “As more and more travelers obtain KTNs, soon, travelers without a Known Traveler Number, or KTN, including those who previously 'opted-in' via a frequent flyer program, will notice a reduction in the frequency in which they are chosen for TSA Pre✓®,” a recent TSA blog post announced. In layman's terms: PreCheck is for paying customers only. For travelers without a KTN who want to skip long security lines for the next five years, you can do that by enrolling in PreCheck for $85 (you can learn all about how to get it here), or in the three other Department of Homeland Security programs that come with PreCheck: Global Entry, Nexus, and Sentri. While 3.6 million people are currently enrolled in those programs, at present, 1 million are enrolled in PreCheck alone. “We will still use these programs, but we will be scaling them back as more travelers enroll in the program," TSA’s Press Secretary Ross Feinstein told Thrillist. “As always, the only way to receive TSA PreCheck on a consistent/reliable basis is to enroll in a trusted traveler program and receive a known traveler number." And if there's one thing that rings true at an airport, it's this: you get what you pay for. And now that goes for PreCheck, too.